Back in May, NFL owners terrified of Donald Trump approved a new jingoistic national anthem policy decreeing that “all league and team personnel shall stand and show respect for the flag and the Anthem,” before games. 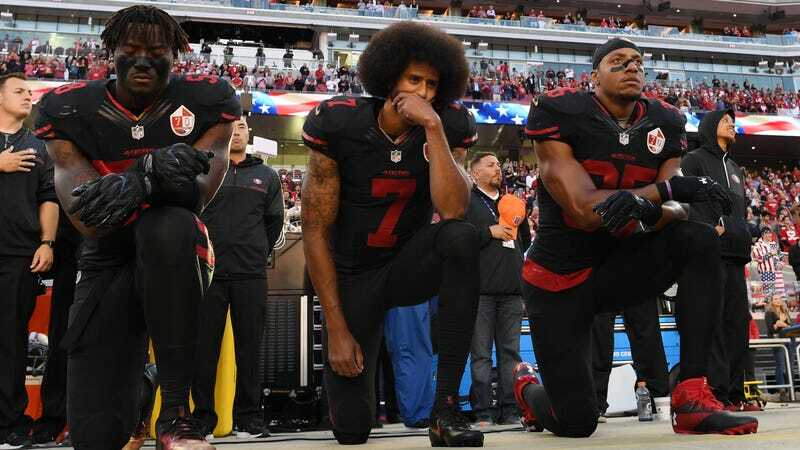 The new rule essentially banned any kind of visible protest—such as Colin Kaepernick and many other players’ kneeling to protest racial injustice—short of staying in the locker room while the song played. “Too many people have stances too strong to figure out a compromise,” Schefter writes, but the result of this standstill between owners who want a policy and players who don’t is obviously not a compromise. As it stands, the outcome is a rare but clear win for the NFLPA. And the NFL continues to be so bad at this.